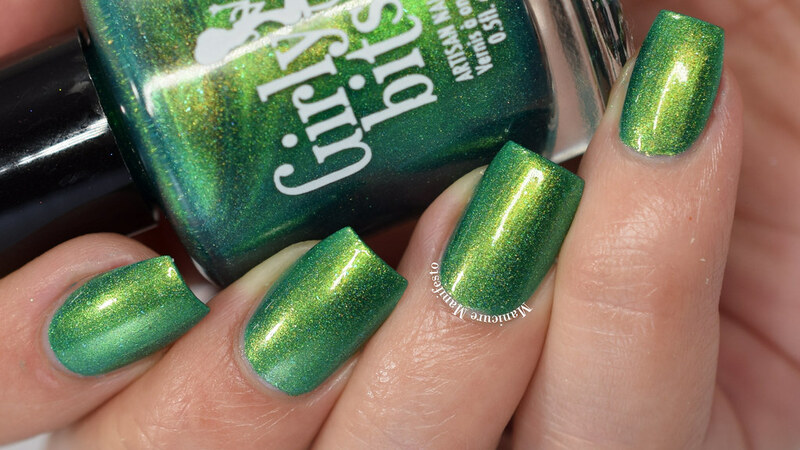 Today I have one of the polishes released during Girly Bits Cosmetics' Black Friday sale to share with you. 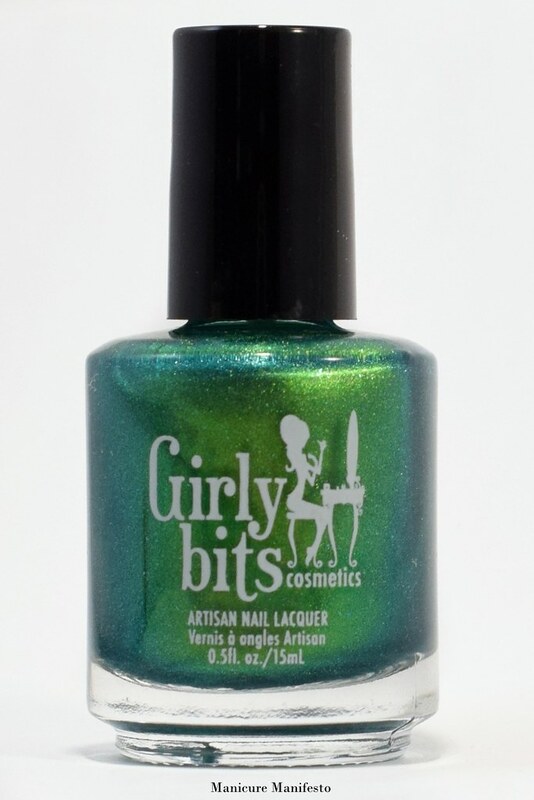 This glowing green shade screams Christmas to me, and how can I resist a name like Talk Turkey to Me? Let's take a look at swatches. 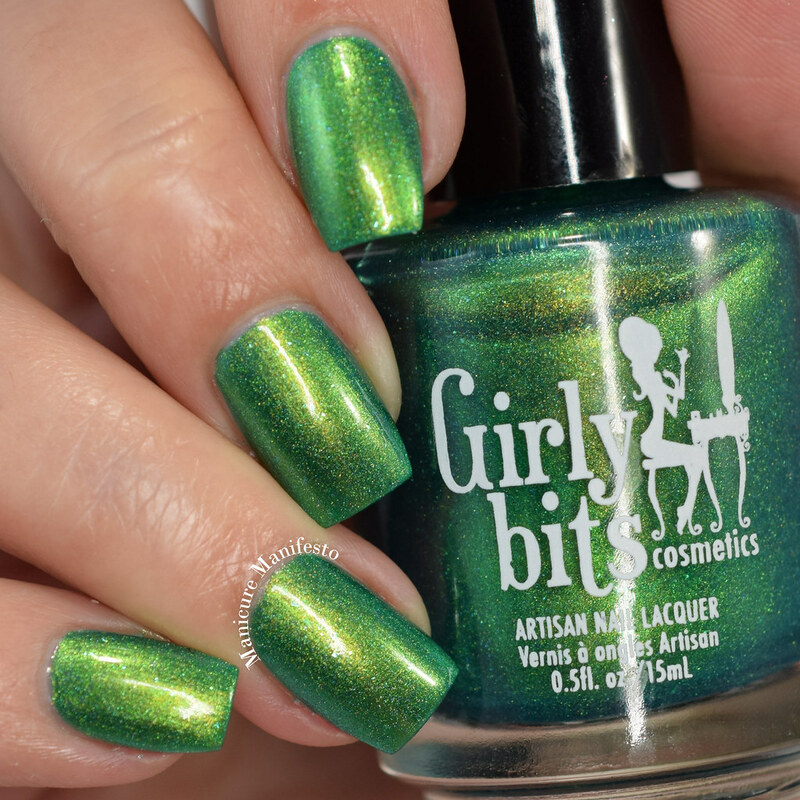 Talk Turkey To Me features a super shimmery green base with a strong lime green flash, tiny blue flecks and a subtle hint of a shift to blue. All together this has quite a glowing finish. 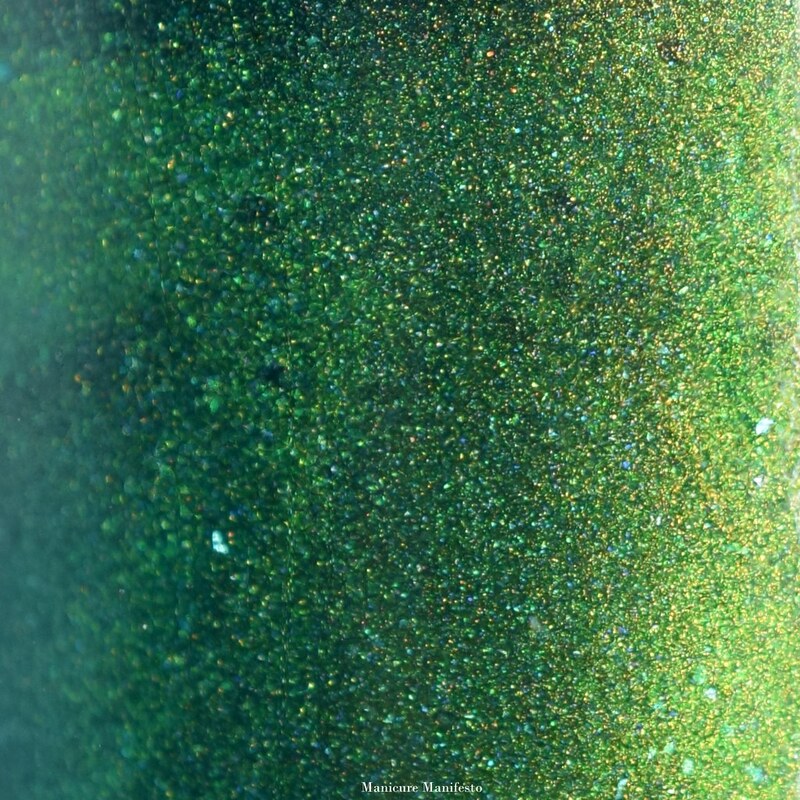 The formula was excellent needing two thin coats for full coverage. This does dry smooth and shiny on its own but I added top coat for better wear time. 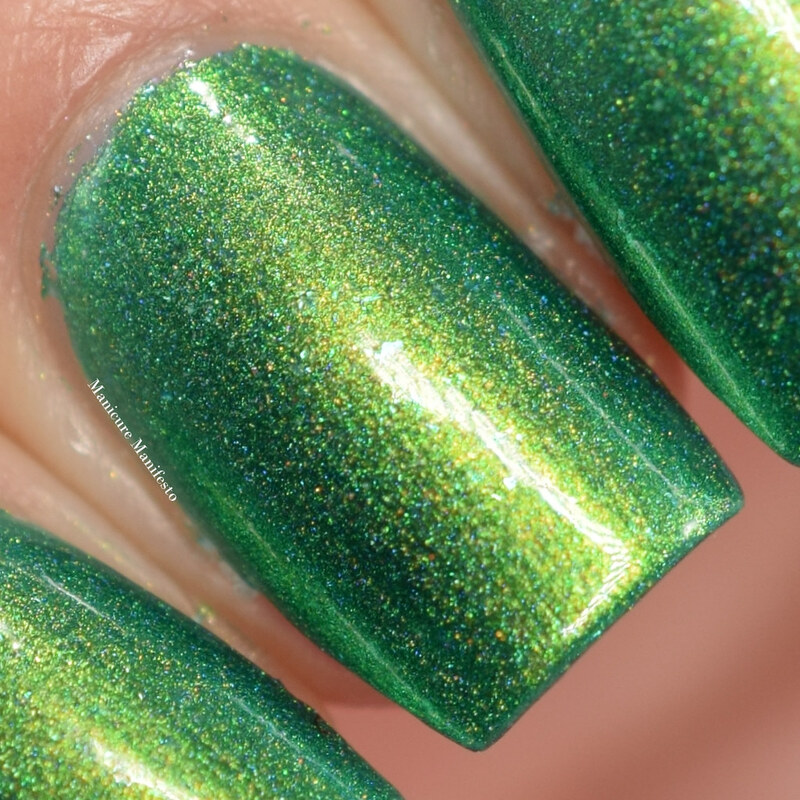 Photos show two coats of Talk Turkey To Me with one coat of Girly Bits Cosmetics What A Rush top coat in daylight spectrum lighting.